Faculty of Management Sciences & Liberal Arts was established in the year 2009 and is affiliated to Shoolini University. The College is approved by the All India Council for Technical Education (AICTE), New Delhi and is today recognized as an exclusive sectorial business school with an aim at developing leaders by providing adequate interaction with leading subject matter experts and exposure to the industry. The candidate will need to make a detailed application online in the prescribed format from website. Based on merit, candidates who qualify will be called for Group Discussion, Personal Interview and Written Test to be held at Campus. Institute commences its operations and activities in the transit campus located inside the Punjab Institute of Technology, Government Polytechnic Compound. The facilities consist of classrooms, recreational space, activity rooms, library, computer and sports facilities. Hostel facilities are available at different locations for boys and girls. Placements are organized and conducted by the Training and Placement Committee with the assistance of students and faculty. Arrangements for pre-placement talks and interaction sessions could be made upon request. 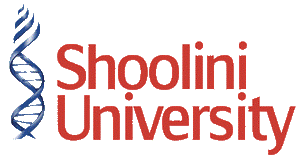 Are you Interested in Shoolini University, Faculty of Management Sciences & Liberal Arts.